Mission of the National Archives: Museum or Access Agency? On Wednesday, 16 December 2009, the Information Policy, Census and National Archives subcommittee of the House Committee on Oversight and Government Reform held a hearing on the Mission of the National Archives. The participants on the first panel were Dr. James H. Billington, Librarian of Congress, G. Wayne Clough, Secretary of The Smithsonian Institution, and new United States Archivist, David S. Ferriero. Each participant submitted a written statement and delivered a five-minute summary. Mr. Ferriero’s written statement has been posted on the NGS website at http://www.ngsgenealogy.org/cs/NARA_hearing. Although we were there to present the concerns of the genealogical community, the subcommittee was most interested in preventing security breaches and making sure the Archivist develops a plan for preserving and safeguarding the electronic records of the many government agencies. The Archivist was also asked a series of follow up questions about delays in responding to FOIA, requests for information under the Freedom of Information Act. The purpose of the first panel was to hear how the other two institutions balanced conflicting demands for resources from their many different user groups. Members of the subcommittee asked questions about strategic plans and measurement of plan accomplishments. Subcommittee member Eleanor Holmes Norton, representative from the District of Columbia, clearly supports museum expansion of the National Archives. If you live in the District, you need to write Ms. Norton and remind her that many genealogists visit Washington, D.C. every year and spent tourist dollars. The genealogical community was represented on the second panel by Jan Alpert, President of the National Genealogical Society. The oral statement she delivered and the full written statement presented to the subcommittee are available on the NGS website in their entirety. The Records Preservation and Access Committee (RPAC) and the International Association of Jewish Genealogical Societies (IAJGS) prepared written statements, which were acknowledged by Chairman Clay but not accepted into the record by the clerk due to a strict interpretation of House protocol. Their written statements together with a statement prepared by the NARA User’s Group and supported by a number of area genealogical societies were presented on Thursday at a follow-up meeting at NARA. Those three additional statements have been posted on the NGS website so that, as interested genealogists, you can be brought up to date on all the issues. Other participants on the second panel included Anne L. Weisman, Chief Counsel for Citizens for Responsibility and Ethics in Washington, Kevin M. Goldberg, legal counsel for the American Society of News Editors, and Carl Malamud, founder and president of Public.Resource.Org. Although we access different records at the National Archives than these organizations, we share some similar interests. We all want accessible hours, availability to make requests online, better response times, and more digitization of the records at NARA. Based upon the questions from members of the subcommittee and responses from new Archivist Ferriero, it appears that there will be subsequent hearings on issues affecting the National Archives. We will keep you advised through this blog. The deadline for entries in the following awards and competitions is 31 January 2010. Read on for descriptions and links to the details for each competition! This award recognizes youth in two categories based on age and grade level. Senior - Students in grades 10 to 12, or between the ages of 16 to 18 years. Junior - Students in grades 7 to 9, or between the ages of 13 to 15 years. NGS Membership is not required. Students must submit an original unpublished work written in English and include email contact information. Complete details and submission forms are available at http://www.ngsgenealogy.org/cs/rubincam_youth_award/nomination_form. The award is a scholarship for the NGS American Genealogy: A Home Study Course. It presented to an individual who demonstrates a serious interest in furthering their genealogical education, has attended national/regional or local conferences, and subscribes to genealogical publications. NGS Membership is required. NOTE: Ineligible are those who have previously enrolled in the Home Study Course and those with genealogical accreditation or certification. Details and submission forms are available at http://www.ngsgenealogy.org/cs/home_study_course_scholarship_award/nomination_form. 1. Award for Excellence: Genealogical Methods and Sources is selected for a specific, significant single contribution in the form of a book, an article or a series of articles published during the last three years that discuss genealogical methods and sources and serves to foster scholarship and/or otherwise advances or promotes excellence in genealogy. All nominations must include e-mail contact information. Instructions and the nominating forms are available at http://www.ngsgenealogy.org/cs/award_for_excellence_genealogical_methods_sources/nomination_form. 2. Award for Excellence: Genealogy and Family History Book is presented to the person who has made a specific, significant single contribution in the form of a family genealogy or family history book published during the past three years which serves to foster scholarship and/or otherwise advances or promotes excellence in genealogy. All nominations must include e-mail contact information. Instructions and the nominating forms are available at http://www.ngsgenealogy.org/cs/award_for_excellence_genealogy_family_history_book/nomination_form. An outstanding librarian will be honored during the 2010 NGS Conference in Salt Lake City 28 April – 1 May. The Filby Award is $1000 sponsored by ProQuest and is awarded to a librarian who has made significant contributions in the field of genealogy. If you know a worthy librarian, please nominate them today. Criteria for judging and nominating forms are available at http://www.ngsgenealogy.org/cs/the_filby_prize_for_genealogical_librarianship/nomination_form. NGS will present awards to individuals or institutions who, over a period of five years or more, have made outstanding contributions to NGS programs or who have performed outstanding work in the field of genealogy, history or biography. The nominee need not be a member of NGS. If you know someone worthy, nominate them today. Forms are available at http://www.ngsgenealogy.org/cs/award_of_merit/nomination_form. NGS will present awards to individuals who have made outstanding contributions to NGS programs or who have performed outstanding work in the field of genealogy, history, biography, or heraldry. A nominee must have been an NGS member for at least one year when nominated. The submission form is online at http://www.ngsgenealogy.org/cs/distinguished_service_award/nomination_form. NGS Hall of Fame honors individuals of the past who made significant contributions to genealogy and set high standards by which we work today. A nominee need not have been an NGS member. They must have been actively engaged in genealogy in the United States for at least ten years, must have been deceased for at least five years at the time of nomination, and must have made a contribution to the field of genealogy judged to be of lasting significance in ways that were unique, pioneering, or exemplary. Submission forms are available online at http://www.ngsgenealogy.org/cs/hall_of_fame. Happy Holidays to all UpFront readers! It is that time of the year again..... when you are wondering what the best gift would be for the family historian in your life. And what better way could there be than polling fellow family historians? Cast your vote today, using the list on the left of your UpFront window. Be sure to visit UpFront again and see how your gift list compares with other readers! Listed below are some of the gift items the NGS staff came up with. A wonderful holiday season with friends and family - Priceless! If you would like to have your suggestion added to this list and the poll, please use the comments section to indicate your item for addition. Happy shopping and happy polling! A recent press release announced the online availability of British newspapers from 1800 to 1900. (See UpFront article dated 20 September 2009.). This review includes a limited-time offer for 50% off your purchase of a full day pass or week pass to this great web site. Full details appear at the end of this article. I had a chance to look at the British Newspapers web site and found it both easy to use and full of interesting information. In this article I'd like to share my experiences. You can try it out for yourself as the website offers free access to all the articles in two London publications, The Graphic and The Penny Illustrated Paper. Made available by Gale, part of Cengage Learning, The British Library and the Joint Information Systems Committee, the British Newspapers website at http://newspapers.bl.uk provides lots of information to help put into timely context ancestors who lived in England, Scotland, Ireland, and Wales during a 100-year span. It has fully searchable newspapers as well as a timeline of major events, articles about aspects of life in those times, and articles about both people in the news and the newspapers themselves. A good amount of information is available for free; however, views of most full newspaper articles are offered by purchase of a modestly-priced pass for either 24 hours or 7 days. The default results are sorted by Publication Date Ascending, but the dropdown choices let you quickly switch to Publication Title, Article Title, Publication Date Descending, or Relevance. In addition, the options on the left side of the window allow you to further limit your results by either Newspaper Section (Advertising, Arts and Sports, Business News, News, or People) or Article Type (Arts & Entertainment; Birth, Death, Marriage Notices; Business; Classified Ads; News; or Sports). I decided to focus first on vital records, so I changed my display to Article Type and clicked on Birth, Death, Marriage Notices to limit my Search Results to the 118 results of this type that included my “Towler” surname. Efficient researchers will definitely want to take advantage of the Advanced Search. Besides limiting your search results to a particular category and/or article type, you can specify a date range, publication, or place of publication. I found valuable information about my surname in some less-than-obvious categories, such as Classified Ads, for example, so I’d suggest you keep an open mind as to what you might find within each section. You can also use all the standard search tools with the Advanced Search: quotation marks, wildcards, and logical (Boolean) operators, as well as range and proximity operators. If you need a refresher on any of these, click the Help link for clear, concise explanations of each. Shown below, I filled in the Advanced Search window to find the name “towler” either 30 words before or 30 words after “weeting,” the home of my Towler ancestors. I further restricted this search to three types of articles published before 31 December 1875 in the English language. To quickly scan all your results, you can bypass the thumbnail's Close button and just click on another thumbnail. Whenever an item is labeled as free content, you can view the whole article without a subscription. You can view the subscription-based articles by purchasing either 24-hour pass or a 7-day pass. Bookmark displays the full URL to display the same search results or article, depending on what’s displayed when you click it. From the Bookmark window you can email a link to yourself or other recipients. When recipients click on this link, they will see the same search results list or article. Their access to the full articles that are not part of the free content depends on whether or not they have purchased a pass to the British Newspapers site. Note that simply using your browser's bookmark or favorites feature will not work to bookmark pages that contain dynamic content, such as search results, marked items, or a document. Print Preview lets you create an HTML or PDF file of articles or a PDF file of an entire newspaper issue that you can then either save or print. Keep in mind that the included newspaper content will be the scanned image that you displayed or checked in your Marked List – not a transcription; this is a good thing because it averts the possible errors that transcriptions can create due to bad guesses by humans or software. The choices for the output depend on what page is displayed when you select the Print option. Email generates citation details that you can send to yourself or other recipients. Note that you cannot email any part of the newspaper with this option – only source citation information. Download allows you to generate either an HTML file of citation information or a PDF file of the displayed item, which you can then download to your hard drive, USB flash drive, or other portable device. Here again, the contents of the PDF file depend on whether you have displayed just the article, the full page, or the entire issue. Instead of using this Download option, I found it preferable to display the desired article and then, using the Print option, click on the HTML button; the resulting HTML page included both citation detail and the article itself. These options are available from many entry points. The icons appear in the top left corner of the window, so be sure to keep your window as wide as the full display. Whenever a particular option is not available, it will be grayed out. On occasion, the window for one of these icons seemed to open behind my browser window; this may be my own doing, but if you don't see the window, look for it in the tray of open windows at the bottom of your screen. Researching Historical Newspapers and Periodicals provides two clear and scholarly articles that give historical, social, and economic context for newspapers as they developed in the periods from 1800 to 1860 and from 1860 to 1900, respectively. You will also find a lengthy bibliography of 19th Century British Library Newspapers for all the footnotes referenced in the articles. The People section contains right-sized articles that highlight the lives of eight prominent individuals of the nineteenth century. The About section includes an Introduction describing the partnership between Gale, a part of Cengage Learning, and the British Library that allowed the creation of this web site as well as a larger collection that spans three hundred years of newspaper publishing in the U.K. There's also a brief description of the digitization project and the selection of the included newspapers. I found the last section especially helpful: it's a thorough Frequently Asked Questions section that answers many questions about the web site's contents and operation, as well as how the subscription options work. I found the overall operations quite intuitive, but I’d like to offer a suggestion to maximize your time if you decide to purchase a pass. A strategy you might consider is to read any articles of interest within the Research Tools before purchasing your pass. Also, peruse the Help to orient yourself to the options you’ll have, especially any Advanced Search tips you need to brush up on. Then do a couple searches on the free content so that you know what to expect from each action in the Search Results window. Now that you’ve whetted your appetite, you’re off and running. All in all, anyone with nineteenth century U.K. ancestry will find the British Newspapers website a valuable resource. Besides finding details about my ancestors that I had not seen anywhere else, I found many fascinating stories about their towns and contemporaries that gave me a much more colorful picture of their lives. Subscriptions are reasonably priced at either £9.99 (about $16.50 US) to open and work with 200 articles over a week's time, or £6.99 (about $11.50 US) to open 100 articles over a 24-hour period. You can try it for yourself at http://newspapers.bl.uk. The folks at Gale, part of Cengage Learning, have graciously offered readers of UpFront with NGS a 50% discount for either pass – 24 hours or 7 days – until December 31. To take advantage of this offer, simply go to http://newspapers.bl.uk and click Subscribe Now! When the payment window appears, enter coupon code NGSdiscount (Code is not case-sensitive.). The Southern California Genealogical Society sponsors one of the very few writing contests designed specifically for family historians that is open to the general public. Membership in SCGS is not required to participate in the contest. Category 1: Family or local history articles of 1,000-2,000 words in length, published or unpublished. If previously published, entries must be accompanied by the written permission of the publisher allowing article to be reprinted by SCGS. Category 2: Family or local history articles of 1,000 words or less, published or unpublished. If previously published, entries must be accompanied by the written permission of the publisher allowing article to be reprinted by SCGS. The deadline for submissions for the 2009 contest is December 31, 2009. You can read examples of some of the entries on the website as well. Look on the left-hand side of the screen for "Writing Contest" and click on that link. In November, 2005, Heritage Books, Inc. published an anthology of some of the most memorable entries to our contest in the contest’s first five years. The anthology is called Celebrating Family History, and is available for $25 plus shipping and handling through the SCGS website. As you may have heard, renovations are again proposed for the National Archives that will affect all NARA researchers. If the changes materialize, some research space at the downtown facility will be converted to offices, exhibits, and other uses, and research services will have to be reconfigured. To assure that research resources are enhanced, rather than diminished, we again appeal—urgently--for your help. Several notices have circulated about an extremely important congressional subcommittee hearing later this month. The hearing of the Subcommittee on Information Policy, Census, and National Archives, which oversees NARA, will examine the National Archives mission. The proposed changes at Archives-1 will undoubtedly be discussed. The new Archivist of the United States, David Ferriero, will testify. This is our opportunity to voice concerns and priorities to congressional leaders. Please participate by 1) writing to the members of the subcommittee (details below); and 2) attending the hearing if you are in the Washington DC area (details below). ALSO, if you are in the DC area, a public meeting will be held the following day, 17 December 2009, at 1:00 p.m. at NARA, specifically to discuss the proposed changes. If you can make that meeting also, please put it on your calendar. Keep your message to one page. If at all possible, write an individualized letter (you can cite some issues below, or add others; a sample letter appears below). Contact each member only once about the hearing. Be succinct. Readers should be able to read and understood the message in one minute. Specify your request in the first or second sentence. In another two or three sentences explain how important it is for the member to attend and participate in the hearing. Specify if you are writing as an individual or representing a group. Renovations at Archives-1 (downtown) should aim to make it a world-class research facility. Reconsider decisions already made (on the Constitution side of the building) so the result will optimally serve the public and researchers without compromising the latter. Upgrade services, personnel, hardware, and software to bring the research facility in line with other first-rate research facilities in the world. The mission of the National Archives and Records Administration: to safeguard and preserve government records and provide public access to those records both in our nation's capitol and at NARA regional facilities. If you represent an organization, follow up with a reminder fax the morning of December 15. The proposed renovation at the National Archives (Washington, DC facility) is a major concern for all researchers. As [a frequent researcher at NARA, a representative of…] I hope the work being considered will result in upgraded, enhanced research facilities that make it a world-class research facility. Many of us are worried that some changes appear to aggrandize exhibits, the gift shop, and other tourist attractions in the building at the expense of resources serving researchers. Congressional oversight and support for research services is critical if NARA is to remain a renowned research institution, fulfilling its mission to the American public, and in line with similar facilities in other countries. Thank you, in advance, for your support. If you wish additional information, please feel free to contact me. Editor's note: The following press release was issued by RootsMagic, Inc.
SPRINGVILLE, Utah. — November 18, 2009 — RootsMagic, Inc. announced the immediate availability of RootsMagic Essentials, free desktop genealogy software based on their award-winning RootsMagic 4 system. RootsMagic Essentials contains many core features found in its namesake that allow the public to easily start tracing their family trees. features not available in RootsMagic Essentials. RootsMagic Essentials is available now for free at http://www.rootsmagic.com. Users of other genealogy software products will find it easy to experiment with RootsMagic Essentials using their own data. RootsMagic Essentials can directly import data from PAF, Family Tree Maker (through 2006), Family Origins, and Legacy Family Tree. It can also read and write data using the popular GEDCOM format. "We're excited to make RootsMagic Essentials available to the community," said Michael Booth, vice-president. "Our mission is to provide 'software to unite families' and our hope is that RootsMagic Essentials will encourage more people to record their family trees and connect with their family histories." The National Genealogical Society is sponsoring a research trip to the Family History Library in Salt Lake City for the last week of January 2010. This is the eleventh year for this educational event, and it will be co-led by Shirley Langdon Wilcox, CG, FNGS, and Marie Varrelman Melchiori, CG, CGL. The trip package price includes seven nights at the Salt Lake City Plaza Hotel, located next door to the Library. The Plaza is ideally located with access to the library, shopping malls and restaurants. Also included in the price are an informal reception on Sunday evening, pizza on Wednesday, and a last night dinner. Other meals are at your own expense, and airfare and personal expenses are not included. Click here to read complete details. The National Genealogical Society announced the release of Paths to Your Past, a twelve-minute video documentary available online and on DVD, in which noted genealogists and family researchers tell why they are passionate about researching their family history. Whether you have been researching your family history for a number of years or you are just beginning, membership in the National Genealogical Society has something for you, including publications, educational courses, and an annual conference. View the video online at http://www.ngsgenealogy.org at the Publications and Videos tab to learn about the benefits of membership. By discovering your family history you learn about the struggles and accomplishments of your ancestors that molded your family values and influenced who you are today. Paths to Your Past was produced by award-winning cinematographer Allen Moore at the NGS Family History Conference in Raleigh, North Carolina, in May 2009 and on location at the National Archives, the Alexandria (Virginia) Library, the Maryland Historical Society, and other research sites. The National Genealogical Society also offers a companion publication, Paths to Your Past, which provides an overview of how to begin your family research or, for intermediate-level genealogists, a review of sources and methodology. 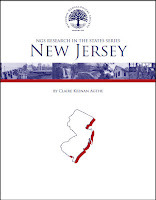 The fifty-page soft cover book or a downloadable PDF version can be purchased online at the NGS Store (http://www.ngsgenealogy.org). The National Genealogical Society was founded in 1903 and is the largest national organization for all family researchers, including beginner, intermediate, and professional genealogists, interested in expanding their research skills and preserving their family history for future generations. The Association of Professional Genealogists (APG) issued the following press release on 13 November 2009. WESTMINSTER, Colo., November 13 – Laura G. Prescott of Brookline, New Hampshire, has been elected president of the Association of Professional Genealogists (APG), the world’s leading professional organization of family history and related professionals. Prescott is genealogist for the Nickerson Family Association and a consultant for Footnote.com. She will succeed Jake Gehring of Salt Lake City, Utah. APG members also elected three members of the board’s executive committee to two-year terms, eleven of its nineteen regional directors, and two members to one-year terms on the nominating committee. Kenyatta D. Berry of Santa Monica, California, a genealogist, entrepreneur, and lawyer with more than 12 years of experience in genealogy research and writing was elected vice president of the nearly 2,000 member organization. Andrew M. “Drew” Smith, MLS, of Odessa, Florida, president of the Florida Genealogical Society of Tampa, and co-host of the Genealogy Guys Podcast was elected secretary. Current APG treasurer, Gordon Gray of Colorado Springs, Colorado, was re-elected. He owns GrayLine Group, a genealogical/family history research business and is the president of the International Society for British Genealogy & Family History. West Region: Suzanne Russo Adams, AG, of Utah, specialist in Italian research and employee of Ancestry.com. James Ison, AG, CG, of Utah, president of the APG Salt Lake Chapter and manager of Strategy and Planning for the Family History Library. Midwest Region: Mary Clement Douglass, Salina, Kansas, former museum curator and co-founder of the APG Heartland Chapter. Jay Fonkert, CG, St. Paul, Minnesota, genealogical educator and writer, and president of the Minnesota Genealogical Society. Southeast Region: Alvie L. Davidson, CG, a Florida-based Private Investigator and Circuit Court qualified expert. Craig Roberts Scott, CG, President and CEO of Heritage Books, Inc. Melanie D. Holtz, of North Carolina, specialist in Italian research. Northeast Region: Debra Braverman, New York, national speaker and forensic genealogist who regularly testifies as an expert witness. Pamela S. Eagleson, CG, Maine, researcher, writer, and teacher focusing on New England, the mid-Atlantic, and Midwest. International Regions: Michael Goldstein of Israel, traces roots worldwide, specializing in family reunification, heir searches, and holocaust research. Carole Riley, a professional genealogist based in Sydney, Australia with a background in computer applications. The Digital Library of Georgia is pleased to announce the free online availability of three historic Georgia newspapers: the Macon Telegraph Archive, the Columbus Enquirer Archive, and the Milledgeville Historic Newspapers Archive. Each extensive archive provides historic newspaper page images that are both full-text searchable and can be browsed by date. Zooming and printing capabilities are provided for each page image (via a DjVu browser plug-in). The Macon Telegraph Archive (http://dlg.galileo.usg.edu/telegraph) offers online access to weekly, daily, and semi-weekly issues under various titles spanning the years 1826 through 1908, and includes over 51,000 page images. The Columbus Enquirer Archive (http://dlg.galileo.usg.edu/enquirer) provides online access to weekly, daily and tri-weekly issues under various titles spanning the years 1828 through 1890. The archive includes more than 32,000 page images. The Milledgeville Historic Newspapers Archive (http://dlg.galileo.usg.edu/milledgeville) offers online access to eleven historic newspaper titles spanning the years 1808 through 1920 (including the Civil War years when Milledgeville was the state capitol). The archive includes over 49,000 page images. Additional newspaper digitization projects are currently underway and will be announced as they become available online at the Digital Library of Georgia. Based at the University of Georgia Libraries, the Digital Library of Georgia is an initiative of GALILEO, the state's virtual library. The Columbus Enquirer Archive, Columbus Enquirer Archive, and Milledgeville Historic Newspapers Archive are projects of the Digital Library of Georgia as part of the Georgia HomePLACE initiative. The projects are supported with federal LSTA funds administered by the Institute of Museum and Library Services through the Georgia Public Library Service, a unit of the Board of Regents of the University System of Georgia. For more information, please contact us at http://www.galileo.usg.edu/contact/. Would your society like to honor a genealogist whose exemplary work lives on today? Perhaps there was a notable genealogist in your state or county whose name should be memorialized in the NGS Hall of Fame. Since 1986 when Donald Lines Jacobus became the first genealogist elected to the National Genealogy Hall of Fame, twenty-four outstanding genealogists have been recognized for their contributions. The 2010 honoree will join this select group of distinguished members. This year’s selection, and the society that honored the nominee, will be feted at the 2010 NGS Conference in the States to be held in Salt Lake City, Utah, 28 April -1 May 2010. Nominations for election to the Hall of Fame are made by genealogical societies and historical societies throughout the United States. Nominations for election to the Hall of Fame are due by 31 January each year. Official nomination forms are available from our website, www.ngsgenealogy.org, Awards & Competitions, or by contacting the National Genealogical Society, 3108 Columbia Pike, Suite 300, Arlington, VA 22204-4304; phone 1-800-473-0060. The following is a press release from the National Archives and Records Administration. Washington, DC…The National Archives has signed on to Twitter! Check for all the latest Archives news and upcoming events ((http://twitter.com/archivesnews/). New tweets will alert the public to exciting programs taking place at the National Archives in the Washington, DC, headquarters building and around the country at the 13 presidential libraries and 14 regional facilities. Learn about the National Archives connection to Elvis Presley's military hair cut and his famous visit to meet President Nixon. Be reminded of anniversaries of famous treaties, documents, and national events. Find out news about major projects happening at the Archives by following our tweets. Visit the National Archives other social media sites. Check out our three Facebook pages for news and events, research, and the Federal Register at: http://www.facebook.com/pages/Nationwide/US-National-Archives/128463482993, our YouTube channel at: http://www.youtube.com/USNationalArchives, and our Flickr photostream at: http://www.flickr.com/photos/usnationalarchives. For more information about the National Archives, visit our web site (http://www.archives.gov/). David Ferriero Confirmed as 10th Archivist of the U.S.
Washington, DC. . . Today, the United States Senate voted to confirm David Ferriero as the 10th Archivist of the United States. Mr. Ferriero was the Andrew W. Mellon Director of the New York Public Libraries and is a leader in the field of library science. Mr. Ferriero, who was nominated by President Obama on July 28, 2009, will succeed Professor Allen Weinstein who resigned as Archivist in December 2008 for health reasons. Deputy Archivist Adrienne Thomas is serving as the Acting Archivist until Mr. Ferriero assumes his duties. in the United States and one of the largest research libraries in the world. Mr. Ferriero was in charge of collection strategy; conservation; digital experience; reference and research services; and education, programming, and exhibitions. that may be accessed free of charge by any user around the world. expansion of facilities, the adoption of digital technologies, and a reengineering of printing and publications. Mr. Ferriero earned bachelor's and master's degrees in English literature from Northeastern University in Boston and a master's degree from the Simmons College of Library and Information Science, also in Boston. After serving in the Navy during the Vietnam War, he started in the humanities library at MIT, where he worked for 31 years, rising to associate director for public services and acting co-director of libraries. In 1996, Mr. Ferriero moved to Duke University, where he served as University Librarian and Vice Provost for Library Affairs until 2004. At Duke, he raised more than $50 million to expand and renovate the university's library and was responsible for instructional technology initiatives, including overseeing Duke's Center for Instructional Technology. can discover, use, and learn from this documentary heritage. The National Archives ensures continuing access to records that document the rights of American citizens, the actions of federal officials, and the national experience. Its 44 facilities include the National Archives Building in Washington, DC, the National Archives at College Park, 13 Presidential libraries, and 14 regional archives nationwide. The National Archives also publishes the Federal Register, administers the Information Security Oversight Office, the Office of Government Information Services, makes grants of historical documentation through the National Historical Publications and Records Commission. to American history is covered in the records of the National Archives: Revolutionary War pension files, landmark Supreme Court cases, international treaties, legislative records, executive orders, public laws, records relating to all U.S. Presidents and the papers of Presidents Hoover through George W. Bush. 2010 NGS Family History Conference-Registration is Open! REGISTER TODAY If you have trouble logging on or registering, please e-mail Erin Wood at [email protected] or call her at (703) 525-0050 ext. 112. Editor's note: The following detail was posted today on the Footnote.com blog. Today Footnote.com announced it will digitize and create a searchable database for all publicly available U.S. Federal Censuses, ranging from the first U.S. Census taken in 1790 to the most current public census from 1930. Through its partnership with the National Archives, Footnote.com will add more than 9.5 million images featuring over half a billion names to its extensive online record collection. As more census decades are added to the site, visitors to Footnote.com can view the status for each decade and sign up for an email notification when more records are added to the site for a particular year. On a trip to Greene County, Indiana, in early October, NGS President Jan Alpert went to the county health department in search of a death certificate for an ancestor. She reports, "I arrived about 3:00 p.m. and was told I would be the last person to have access to the records until next year. Why? The county was preparing for H1N1 flu shots, and they needed the space normally used for genealogists requesting death certificates to administer flu shots. The records were being boxed up - until further notice. So, if you have a research trip planned, call ahead to make sure the vital records will be available." The book is 288 pages long and 10 x 13-9/16 inches. 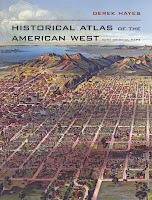 Containing 606 maps and 90 color illustrations, it is priced at $39.95 at the University of California Press website at http://www.ucpress.edu/books/pages/11187.php. Editor's note: This article responds to NARA Press Release dated October 22, 2009, which followed an October 20 article in UpFront with NGS. Marie Varrelman Melchiori, CG, CGL, Coordinator of the Archives 1 User's Group, offered the following explanations. The Microfilm Reading Room will be moved to a drastically smaller space (the current Finding Aids Room) with significantly fewer microfilm readers. We recognize that the number of researchers using the microfilm area has diminished over the past few years, but there is still a demand to use microfilm. We suggest a room containing at least 30 readers, which would be approximately half the current number. My comment: The User’s Group never suggested that the microfilm reading room was to be eliminated. We agreed that the numbers are down, but we would like to see at least 30 readers. Direct researcher access to microfilm collections will be eliminated and replaced with a "pull on demand" system. We believe it is unworkable, and result in much wasted researcher time by requiring researchers to request individual rolls of microfilm, then wait for a staff member to retrieve it from a stack area deep within the building. No one has been able to tell us where the microfilm will be stored or how long it will take to retrieve it. My comment: This was one of the suggestions that the User’s Group found totally unacceptable. NARA’s response [“We will continue with this policy as long as research demand warrants it. We may, however, relocate the microfilm to another public area adjacent to the microfilm reading room”] gives them the opportunity to change their minds at any time. No criteria have been set to indicate what is meant by “as long as research demand warrants it.” Knowing the location of the microfilm now and the areas surrounding the Consultant’s Office, there is little space to put the film. Since this was a move that was imminent (I overheard the NARA staff members looking at the area in the library. ), I would assume the area would have already been chosen. If you look at the map [in the original article], the microfilm is now located in the two hallways, and along two sides of the existing microfilm reading room. This is not re-locating a couple of hundred rolls of film. The Lecture Room will be eliminated. No one has been able to tell us where a new Lecture Room would be. This room is used frequently for NARA public programs (genealogy lectures, etc.) as well as internal NARA meetings. My comment: We said, “ No one has been able to tell us where a New Lecture Room would be.” Again, with a move imminent, the assumption is that the new space would already be designated. The Finding Aids Room (Consultants' Office) is to be moved from its current room, which provides adequate space for staff, researchers, and necessary finding aids to textual (unfilmed) records, to a small open area in the library which will not provide adequate working space or privacy. The current room on the ground floor of the National Archives Building (Room G-28) serves as the finding aids room, the consultation area, and as office space for three staff members. The area available in this space for consultation with the public is approximately 450 square feet and has three consultation tables. We are proposing to move the consultation area from G-28 to the adjacent area which is currently the National Archives Library, G-30. We will use approximately 1100 square feet of what is now Library space for this consultation area. The space will have eight tables for consultation. So, we will more than double the area and number of tables for researchers to consult with staff and use the finding aids. The three staff members who currently have their workspace in G-28 will have new workstations adjacent to the research room that they can use to do other work when they are not providing direct consultation service. This plan is based on the successful model that has been in place for several years for consultants at Archives II in College Park. My comment: While it would be nice to have the additional space, there is no indication that this will be a dedicated space. One of the “plus” points mentioned was that, “if the consultant’s area was full, you could move to any other table in the library.” I wonder how a library user would like to have a consultation taking place right next to them? The current Finding Aids/Consultant’s office has 3 distinct areas. One for military, one for Navy, and one for Civil. The statement, “This plan is based on the successful model that has been in place for several years for consultants at Archives II in College Park,” leads the reader to believe that the Consultants meet in the A-2 Library. While it is a very successful model, it is NOT in the 3rd floor library, Room 3000, but in a glass enclosed area in the 2nd Floor Textual Research Area. This dedicated room contains all the finding aids as well as real live Archivists. It is not tables in an open library. We want a dedicated room for the Archivists and the finding aids at Archives -I. If this is what NARA intends, a glass enclosed, dedicated room, I’m sure the A-1 User’s Group would back it wholeheartedly. The Orientation and Registration area would be eliminated. This is currently used for researcher registration, to issue researcher identification cards, and for researcher consultations with staff members and volunteers, and for researcher access to computers. No one has been able to tell us where these functions would be moved. My comment: Again, we stated, “No one has been able to tell us where these functions would be moved.” We realize these are important to NARA functions and cannot be eliminated. We obtained the information that generated our letter from the 16 October A-1 User's Group meeting. It was not erroneous. Minutes going back to 23 June 2008 mention the reduction of the microfilm reading room and film being “pull on demand." At that time it was acknowledged that those plans have been discussed, “however, NARA does not have the funds for the renovations at this time.” I assume the 5-phase plan allows NARA to move the consultant’s office and the microfilm reading room without a budget item. I have heard that the rest of the renovation is in the 2011 NARA budget. If NARA intends the self-pull microfilm and a dedicated Consultants/Finding Aids room, I would support their plan. I am happy to hear that NARA will continue to meet with the Archives-1 User’s Group. We are available to meet with NARA staff whenever necessary.